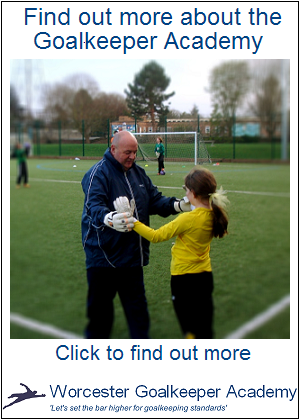 Finding your voice in Goalkeeping is difficult as confidence plays a big part. Confidence can also be bravery too. Being not only brave enough to call out, but also being brave against an opposing player, either when they are running at you in one and one situations, or jumping for a ball with players around you, or making that tackle at feet, etc. It’s hard being brave… it’s a massive psychological hurdle to get over. Yes they say you have to be mad to be a goalkeeper, especially when you have to dive at feet as you are always scared of getting hurt. Just ask my daughters… The youngest is 8 and she is still wary of diving at feet bur through fun exercises and games to encourage it, she is slowly improving. Whereas my 13 year old does dive at feet bravely. 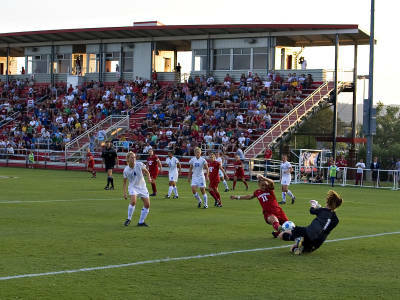 That this weekend she did just that, saved the ball, but has just sprained her ankle in the challenge. That said it hasn’t put her off but for others this can make them wary of making the challenge next time for fear of getting hurt. OK, injuries can happen, not just to goalkeepers but to outfield players too. If you worried about ‘rare’ injury and wrapped yourself in cotton wool you wouldn’t have so much fun as a Goalkeeper – football should be about fun after all! “I think you have to be brave, you know that a goalkeeper is always going to take blows. When you dive at someone’s feet, that player doesn’t always have time to jump and they bang into us” – Petr Cech. So be brave and be strong – remember injuries are actually quite rare and you have coaches there to help you. Posted on Mon 02 April 2012, in Goalkeeper Coaching, Goalkeeper Development, Psychological Development, Psychology and tagged 1v1, Bravery, Confidence, Diving, Football, Goalkeeper, Psychological Development, Psychology, Sport. Bookmark the permalink. Leave a comment.